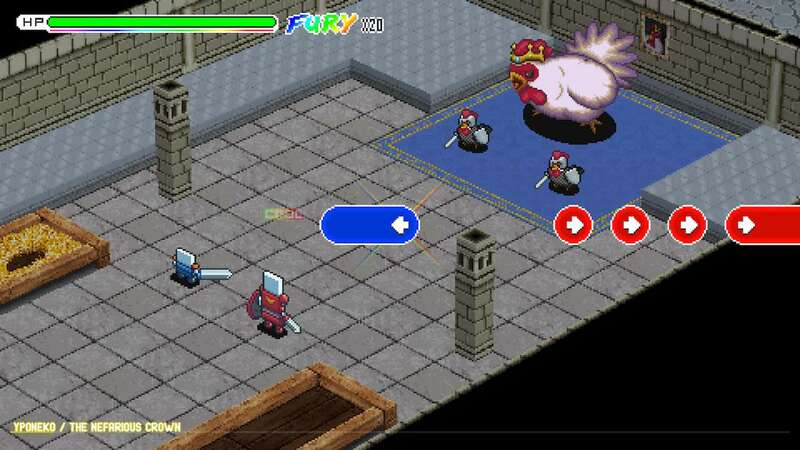 Playdius and La Moutarde have announced that Old School Musical will release on Nintendo Switch next month, a retro-styled rhythm game. With a promise to take you back to your childhood, the game stars Tib and Rob, nutty heroes who have been trained from childhood to be video game heroes. You will be challenged to stay in tune, synching inputs with flying notes to help them find their missing mother. But, miss too many notes and Tib and Rob’s adventure will fall flat. With more than 20 original levels inspired by 8-bit era classics, whether that be retro racers or weaving your way through bullet hell, the chiptune soundtrack (now on Soundcloud) that accompanies your adventure has seen Dubmood, Zabutom, Hello World, Yponeko, and Le Plancton compose more than 50 tracks exclusively for the game. Old School Musical will release on the Nintendo eShop for Nintendo Switch worldwide on September 13th, priced at $12.99.